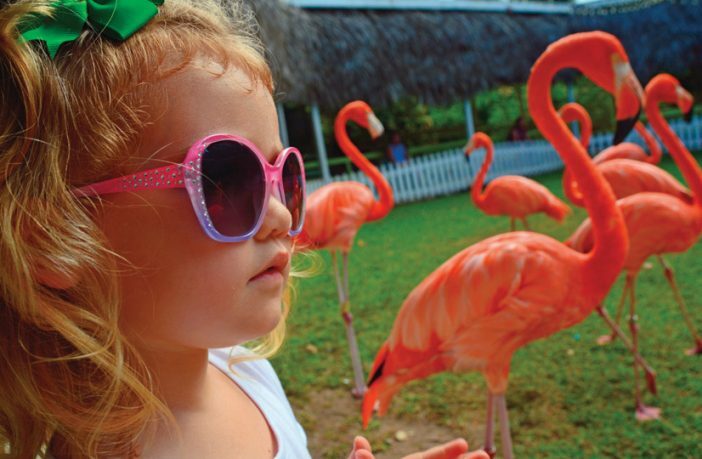 Ainsley Moore gets up close and personal with flamingos at Ardastra Gardens & Zoo in Nassau. Thinking of taking your child or grandchild on a cruise? The first thing to do is research cruise lines known for their child-friendly programs. Don’t find a cruise and then try to figure out if it’s going to work for your little ones, tweens and teens. A good place to start is Cruise Critic’s Cruiser’s Choice. In 2018, the top three cruise lines recommended for families with children were Carnival, Disney and Royal Caribbean. I sailed with my daughter, Olivia Moore, and 3-year-old granddaughter, Ainsley Moore, on Carnival Fantasy to Key West and the Bahamas and was very impressed with its offerings. Carnival’s onboard “celebrities” are Dr. Seuss characters Cat in the Hat, Sam I Am, Thing 1 and Thing 2. One special event with the story book characters is the Seuss-a-palooza Story Time parade from one end of the promenade deck to the other, where children gather in Universe Lounge for an interactive reading of “Horton Hears A Who” by the cruise director. The second event is the “Green Eggs and Ham” character breakfast. Each child meets with characters, and menu offerings are uniquely presented in Cat in the Hat style. As fun as both staged events were for Ainsley and other children, it was Camp Ocean and its counselors that made sea days a hit for her. Divided into three age groups, Camp Ocean entertains cruisers ages 2 to 11 with marine-themed activities and games. Circle C preteens (12 to 14) and Club O2 teens (15 to 17) have their own spaces. 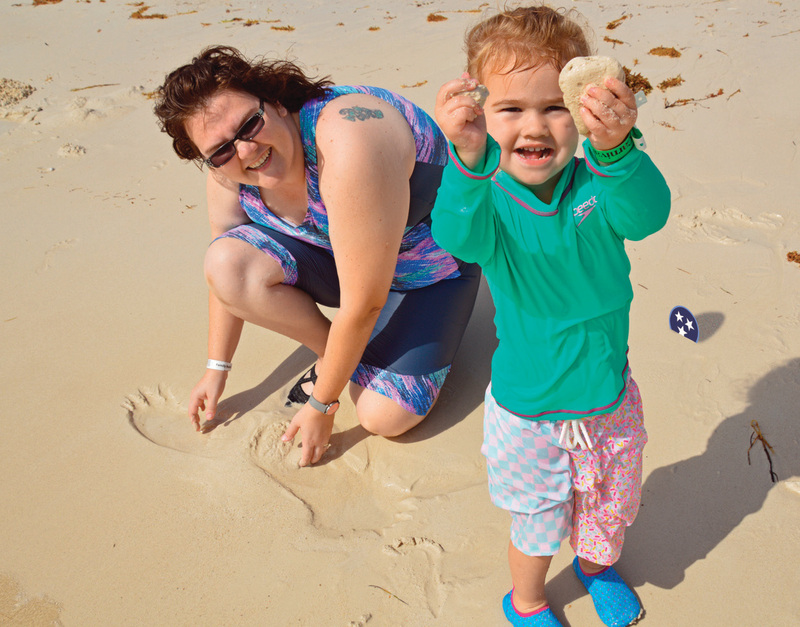 Beach discoveries in The Bahamas: Olivia Moore and Ainsley Moore. 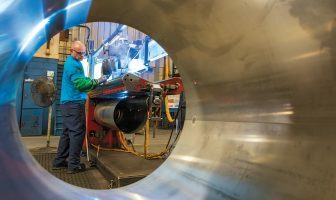 Add to this WaterWorks with a pair of 82-foot-long racing slides and Twister Waterslide (a 300-foot-long, spiraling tube), a splash pad for toddlers, a nine-hole mini golf course and a video game arcade, and you have an idea of all the activities available. With the exception of a nominal fee for the character breakfast, video arcade and late-night childcare, all activities and Camp Ocean are complimentary. If you are eating in the dining room, Carnival offers a special children’s menu/activity book. Menu choices include hot dogs, pizza, hamburgers, French fries and peanut butter and jelly as well as fresh fruit and vegetables. Upon request, your child’s food comes without much waiting — fast-food-style. Choose a “fixed time” for your meal. “Your time” dining often involves a wait to be seated. If the dining room experience is too long for your toddler or fidgety child, there’s always the lido deck buffet, Guy’s Burger Joint and Pizza Pirate. In addition to choosing your cruise line carefully, also choose shore excursions wisely. Consider your child first when making decisions about what you’ll do in port. While in Mobile and Key West, I used information from local convention and visitor bureau websites for information about age-appropriate activities near the port. With this information, we decided to explore on our own in these cities. In the Bahamas, however, I felt more secure going on Carnival shore excursions. Our activities at the three stops included a family beach day with a combination of water play and organized child activities, bus tours with stops along the way, and a zoo and garden. 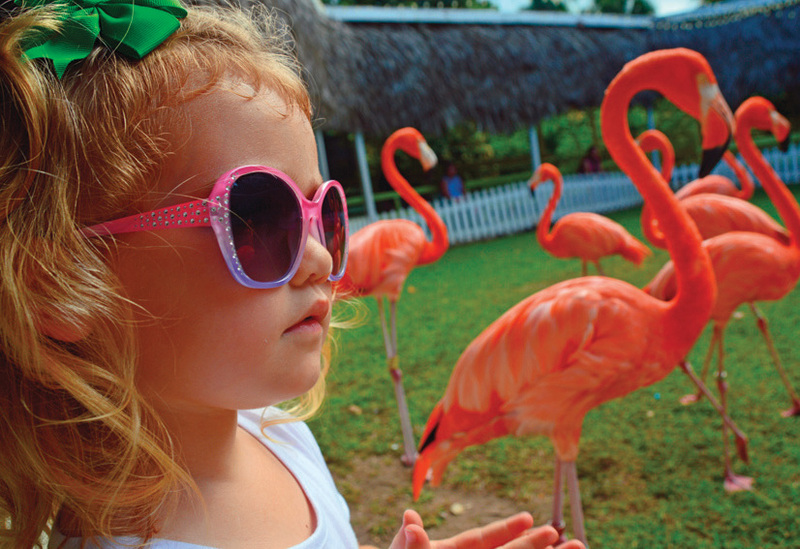 With proper planning, cruising is a wonderful option for families with children of all ages. Marilyn Jones, a journalist and photographer for more than 30 years, specializes in travel. Her articles and photographs have appeared in major newspapers and magazines and online at grit.com and travelgumbo.com. Her website is travelwithmarilyn.com.